يقع فندق Chevron Palms Holiday Apartments، المصمم ليناسب كل الضيوف سواء كانوا من رجال الأعمال أو السياح، في مكان ممتاز في أحد أكثر المناطق تفضيلاً في سارفرس باراديس. إن موقع الفندق الاستراتيجي، الذي يبعد 0.7 Km فقط عن مركز المدينة، يسمح للنزلاء بالوصول سريعاً وبسهولة إلى العديد من الوجهات المحلية المثيرة. بالنسبة لمن يريد الخروج، هذه بعض المعالم السياحية المتوفرة للزوار Chevron Island, متحف الشمع, Adrenalin Park. استمتع بالخدمات الراقية والضيافة التي لا مثيل لها بهذا الفندق في جولد كوست. يمكن لضيوف الفندق الاستمتاع بالميزات التالية على أرض الفندق: خدمات بريدية, خدمة سيارات الأجرة, خدمة حجز التذاكر, تخزين الأمتعة, صف السيارات . في Chevron Palms Holiday Apartments غرف نوم يزيد عددها عن 1 صممت بذوق وعناية لتوفر لك كل وسائل الراحة . بعضها يحتوي أضاً على تلفزيون بشاشة مسطحة, غرف لغير المدخنين, تدفئة, شرفة/ تراس, ساعة منبه. يقدم الفندق خدمات رائعة كمثل مسار جولف - ضمن 3 كم, حمام سباحة خارجي, حديقة لمساعدتك على الاسترخاء بعد نهار طويل من النشاط والتجوال في المدينة. يشكل Chevron Palms Holiday Apartments بخدماته الراقية وموقعه الممتاز، قاعدة مثالية للاستمتاع بإقامتك في جولد كوست. My room is clean and tidy. The staff is very helpful and friendly. The location is also near surfer paradise and public transportation, you just need to cross the bridge first. It has a swimming pool too. Me and My friend have a good time stayed here. Thank you so much Chevron Palms. It would great if there are 2 bedrooms apartment available too. Nice place for the price. It has a security gate that was not always closed and at times was chained open so people could come and go from the premises. We did notice that it wasnt always guests of the hotel that used the pool. Lovely and comfortable but needs attention. Some lights didn't work. Wine glasses still had previous users' lip prints on them! And parking for high vehicles limited. TV also small and no TV in bedroom. Not biggies but easy fixes. Guy on front desk was awesome, though. Definitely chevron palms apartments was worth the money. Everything was good. Except for the public transportation. It is kind a far. You need to walk several miles until you can find the public transport. 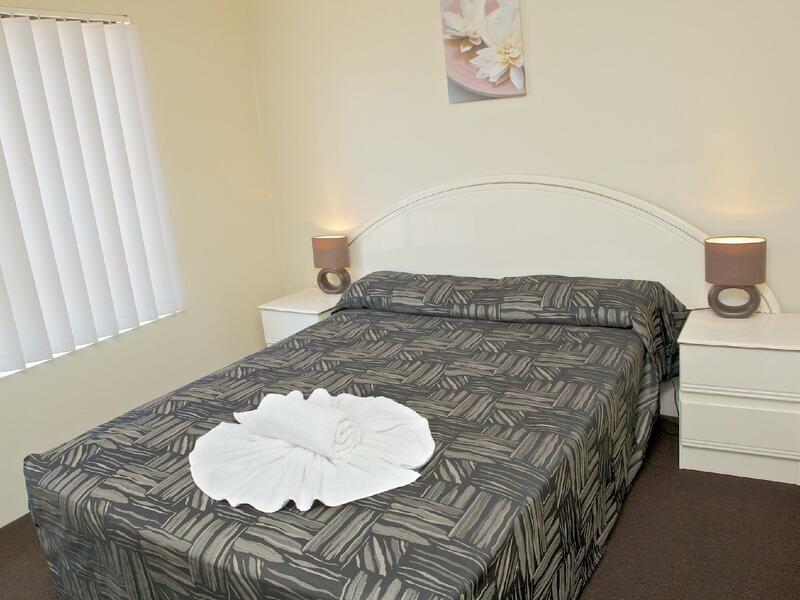 If you have your own transport, Chevron Palms Apartments is the best for you! Satisfied with all facilities provided here. Very calm environment. But just hope in future for wifi it will be provided for free. Heeee. Good stay. Will come again to stay here if in Gold Coast near future. Thank you Chevron Palms Holiday Apartments ! Arrived at the accommodation, with a little more than half a role of toilet paper. No shower gel or shampoo etc. Bed is hard. Place is noisy - neighbours don't seem to sleep! music till late night (after 1am), and starts again 5am! People talking in the balcony, loud. Luckily we checked, but the room balcony doors were not locked. Bathroom window blinds are such bad fitting, someone can easily look into the shower cubicle! Rather traumatic experience, to even take a shower! especially since the unit was on the ground floor. Tap could not be turned off properly .. the dripping went on all night. Pool size was small. No AC in bedroom. Good to only get back to crash. Have to give it to the Receptionist. We arrived as she locked up, but she took the trouble to go back into the office and got me sorted out. Friendly staff with reasonable well maintained facilities. 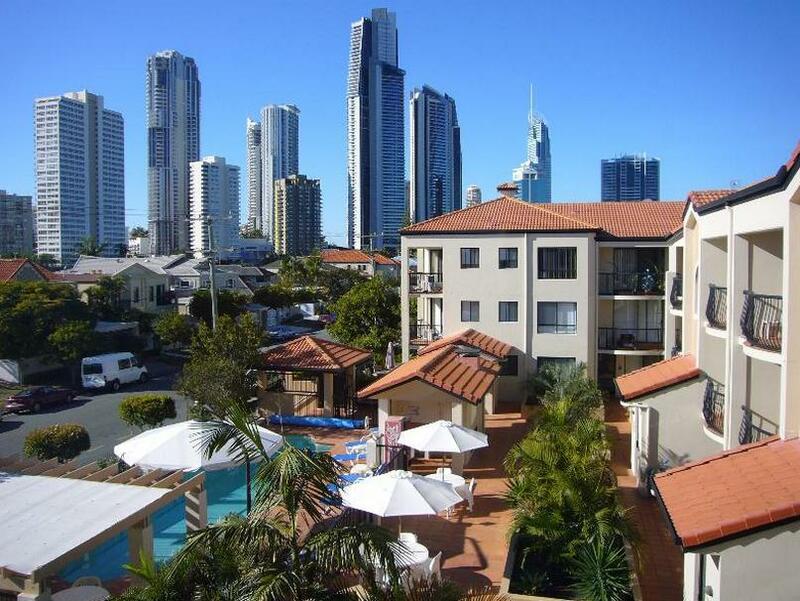 Strategic location with 15 mins walk to Gold Coast CBD. Very convenient location to shops. The unit needed a facelift. Goods - location. it takes just 10-15min to surfer's paradise on foot. grocery & liquor markets(Coles) are not far from here. - Not big but clean Swimming pool. - kind faculties. - enough cookwares. - Nice balcony. Bads - Sink water not goes down well. - bathroom tab shrinks. - celling fan is vibrating. and some times the light is not trun on. - noisy. the wall is too thin. i can hear every sound from next room. Micro wave did not work Washing machine did not work They did replace them but should be replaced before they get to that condition. Kitchen was not very clean. Have stayed there three previous occasions but would not stay again unless I thought there was a big improvement. The blinds in the whole apartment needed changing. I was unable to open or close the bathroom or bedroom blinds as it was is such poor repair. Same with the lounge blinds which would not close properly. The staff on arrival was not friendly, didn't even look at the customer when preparing the paperwork. Also they ask for your Credit cart for a $200.00 deposit. OMG I have stayed in expensive hotels and they do not ask for this. Aside from this the room was OK. If you are planning to go to theme parks, it is a very suitable place to stay. 15 mins of walking to bus station, Surfer Paradise which will take you to theme parks. The receiptionist was very kind to allow us to check in at 11 a.m. However, the blankets were too smelly. Other than that, I recommend to stay here. It was a short and sweet day in Chevron Island. Chevron Holiday Apartment offers you spectacular views, convienent location, well managed facilities and secured parking spaces. Surfers Paradise is just around your corner, easy access to many tourist spots ie cruise wax museum (walking distance across the bridge). If you are travelling with families and young kids , this apartment fits your fun filled family activities , BBQ , swimming and jogging. In addition, you can cook and dine comfortably in their spacious kitchen and dining area. It was a tidy and simple space. One living room, kitchen, bathroom, bathroom and terrace. They have most of the convenient stuffs in the apartment. I could walk to the surfers paradise beach in 10 minutes. The surroundings are quite and safe in the night.